This blog is now located at http://blog.fluffypanda.com/. The DVD one in particular is annoying me because I pay £15 a month to rent DVDs, but they get to me slower and in a less user-friendly form than if I just torrented the damn things. 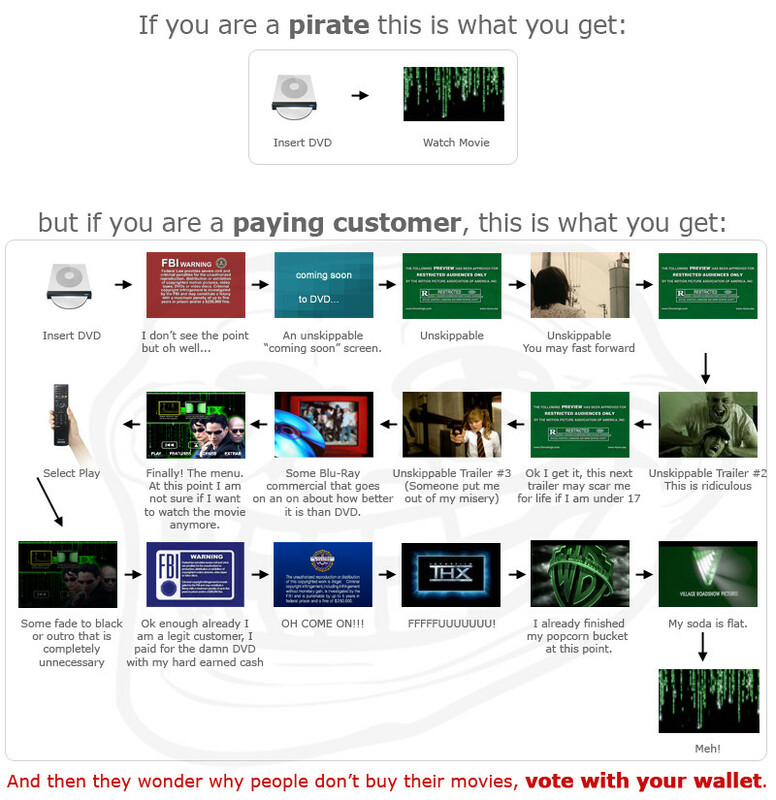 And they repeatedly shout at me about how piracy is theft before every film. Grrrrrr. I heard about a DVD that someone rented recently which started with a screen saying "Thanks for supporting the industry" and then went right into the film. Must have been an indie flick. I'm one of the 3 or 4 people on the planet who haven't actually played Modern Warfare 2 yet, but you don't need to know the game to realise that this is a seriously lucky knife throw. Casting fear into the hearts of the criminal underworld - and anybody who just happens to walk past - it's BATMAN! Ok, so he's got the basics down. With practice I think he has the potential to be quite good. Somebody has to make this a reality. My laptop bag would be so much easier to pack with this. When the real robot uprising happens there won't be any running from slow, lumbering but unstoppable machines. You won't even have time to blink. Of course, if you don't believe that we will be inevitably ruled over by our own creations then this is merely an extremely impressive display of engineering.